Pianist Michael Arnowitt is well known for his musical creativity and for his innovative jazz concert programs. He has performed jazz in Europe in clubs and concert halls in Moscow, St. Petersburg and Yaroslavl, Russia; Paris, France; Budapest, Hungary; Delft and Amsterdam, the Netherlands; Düsseldorf, Germany; and in Prague, Czech Republic, where he performed at the famed Reduta Jazz Club as part of the 29th Prague International Jazz Festival. He performed in New York City in September 2006 at Hunter College in a duo concert with the tenor saxophonist John McKenna. An award-winning documentary film about his life and music, “Beyond 88 Keys,” was released in 2004. The film has been shown at various festivals and venues including The Anthology, a theater in New York City’s East Village, and De Rode Pomp, an arts center in Ghent, Belgium, and was also broadcast twice on public television. In addition to leading an active life as a performer, Michael Arnowitt has helped to build the jazz infrastructure in his part of the country, providing performance opportunities for other musicians and uniting performers from different states in collaborative projects. He has made a contribution to jazz music appreciation through appearing on radio and TV shows and presenting jazz educational demonstrations at the piano in diverse venues such as schools, libraries, art centers, and theaters. His solo piano recording Classical/Jazz on the national Musical Heritage Society label explored the mutual influence of jazz and classical music throughout the twentieth century. The program illustrated connections between the two genres of music, such as the common style of harmonies of the jazz bassist Dave Holland and the classical composer Aaron Copland. The CD sold 6,000 copies and was praised by both the classical and jazz communities, including the publication L.A. Jazz Scene. In April of 2003, Michael Arnowitt organized “Ella Fitzgerald Night,” a tribute concert to the late jazz singer, with 23 musicians performing transcriptions Michael Arnowitt wrote out of arrangements used by Ella on historic recordings from 1939 to 1964. The concert, with a mix of big band and combo numbers, was a great success and attracted a standing room only audience. As a follow-up to “Ella Fitzgerald Night,” his second transcription project presented the hard bop arrangements used by Art Blakey’s Jazz Messengers groups from the 1950’s through the 1980’s: this tribute sextet concert premiered in July of 2004. His most recent compositional effort is an intriguing, full concert-length jazz suite entitled “The Five Chinese Elements,” written with bassist Anthony Santor and drummer-percussionist Steve Wienert. The ancient Chinese had five elements, not four: water, earth, wood, metal, and fire. In this free-jazz oriented composition, special new “hybrid scales” developed by Arnowitt serve as the basis for jazz harmony and melodic improvisation. The music is influenced by the ancient Chinese associations for each of the five elements combined with the performers’ own feel for the various elements’ character traits. Michael Arnowitt’s new concert program “A Trip Through The Four Seasons” guides the listener on an evocative voyage through the calendar year, starting with jazz tunes about spring, proceeding through music about summer, autumn, and winter, and completing the circle by ending where the journey began, with music about spring. Many of these jazz tunes personify the seasons, as if Spring, Summer, Autumn, and Winter were living, animate actors touching us directly and granting us joy or sorrow. In addition to standards by Vernon Duke, Richard Rodgers, George Gershwin, and Hoagy Carmichael, the program features novel tunes such as the Californian pianist-composer Billy Childs’ “His April Touch,” based on a poem by e.e. cummings, and Michael Arnowitt’s own ingenious slow Latin jazz version of the opening of Stravinsky’s Rite of Spring. Michael Arnowitt’s other new projects include a program of Bill Evans tunes and three new programs featuring spoken word poetry read simultaneously with his solo piano improvisations. In September 2000 he was the artistic director of the Vermont Millennium Music Festival, a four-day event featuring 24 concerts which presented in chronological order music from the year 1000 to the year 2000. As part of this festival he devised a program tracing the evolution of jazz through history: this concert included the rarely-heard original Paul Whiteman jazz band version of Gershwin’s Rhapsody In Blue. 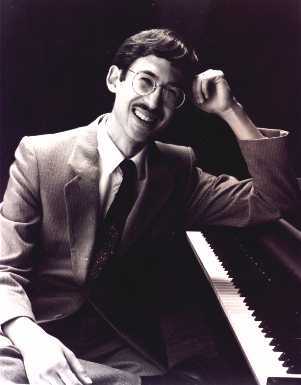 Michael Arnowitt’s varied and unique style of improvising features graceful transitions from “in” to “out” playing, where freer, more rhapsodic sections develop motifs from the original melody of the tune. The “in” portions of an improvisation provide stability and anchor episodes of ear-stimulating “out” adventures. Michael Arnowitt has performed jazz concerts, both solo and with quartets, at various art centers, concert halls, churches and synagogues, colleges and schools, theaters, house concerts, art galleries, libraries, and festivals. Michael Arnowitt has performed with many of Vermont’s top jazz musicians, including Fred Haas, John McKenna, Dave Ellis, Steve Blair, Steve Wienert, Ellen Powell, Glendon Ingalls, Anthony Santor, Rob Morse, John Rivers, and Alex Stewart. Michael Arnowitt has also contributed to the Vermont jazz scene by wearing his organizer’s hat. In the fall of 2001, he co-founded the Green Mountain Jazz Series, which sponsors an annual jazz concert series and organizes monthly jam sessions and a variety of jazz-related special events. He has also done jazz music appreciation segments on several radio stations, including WNCS radio’s Sunday night Jazz Spectrum show hosted by Lou D’Antonio, and has given talks on jazz history on a series presented by the Vermont Humanities Council. Tenor saxophonist John McKenna has toured the U.S. and Europe with Joe Lovano’s Celebrating Sinatra Band, recorded and performed with organist and pianist Larry Goldings on compact discs for Warner Bros. Records and the St. Paul, Minnesota based IGM Records, and has also recorded for the Koch and Omnitone labels. John McKenna has performed in concert in California with the Red Rodney Quintet and at the Museum of Modern Art with the Ron Horton Quintet. He has also performed with jazz musicians such as Larry Grenadier, Victor Lewis, Peggy Stern, Kurt Rosenwinkle, Ben Allison, Tootie Heath, Dawn Thomson, Matt Hong, Danilo Perez, Branford Marsalis, and Jane Ira Bloom, and for ten years was on the faculty of the Stanford Jazz Workshop on the West Coast. John McKenna lived in New York City for about 15 years, and currently lives in Rhode Island. I met him when he lived up here in Vermont for a few years, and he’s quite simply the best jazz musician I’ve ever played with. You’ll love his tone, his style, and his musical ideas which bring you into that beautiful, warm sound-world unique to the tenor saxophone. He’s also a great player on flute and bass clarinet. I think his style is a perfect fit for the way I like to improvise. He has a strong, sonorous, and expressive sound of which many musicians have heard influences of John Coltrane and Stan Getz.